One of the most frustrating aspects of bringing one of these old Yamahas back is finding a decent set of replacement tank badges. 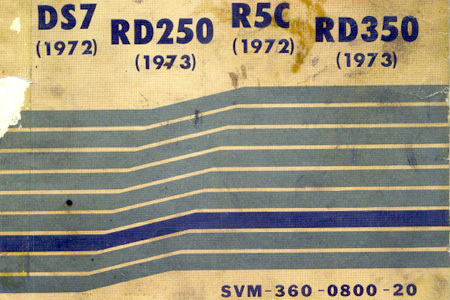 NOS is really nonexistant, and even replicas are getting to be very expensive. Here is a guy selling replicas on Ebay for very reasonable prices, and the duplication looks pretty spot-on. Great web site. Awesome bike. In fact your R5 inspired me to refurbish an R5 of my very own. I would like to know where you got the turn signals for your R5 so I can relocate mine. Did you farm out most of the paint work? How much $$$ did you put into your R5? Sounds complicated, but I figured it out just by fiddling around myself, so with the above directions anyone should be able to do it no problem. 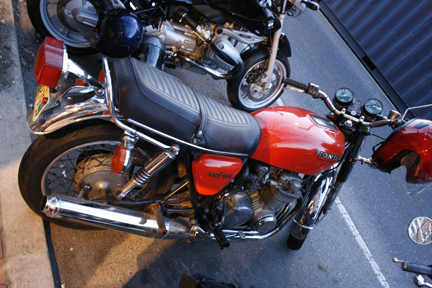 As for the paint, I was lucky and found a bike that had been parked in a garage for most of it's life. There's little damage, just a few dents and chips. I haven't done much in terms of paint besides cleaning and waxing. If you're looking for the metallic Mandarin Orange paint, unfortunately you're out of luck as it's no longer made. Here's a link to some discussion about a possible House of Kolor alternative. All in all, I haven't spent much on the bike, $550 to buy, and about $1000 in parts and work to get it running, inspected, new tires, new bars, one new sidecover, and a NOS matching mirror. Not bad for such a great little bike! This cool website combines classified and auction listings from various sites around the internet and displays them chronologically with photos, location and price. 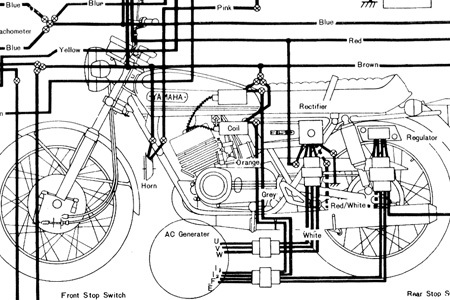 In order to actually see anything, select a motorcycle from the text cloud or pull-down. Want something added? Email the administrator. 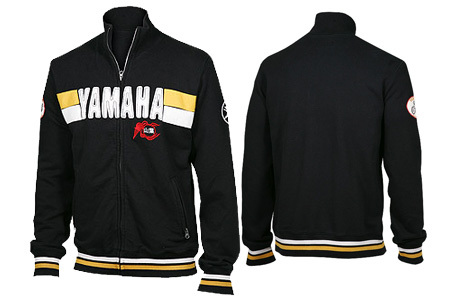 Check out this incredible LUCKY BRAND Yamaha Zip Track Jacket. Finally a place for all my vintage Yamaha patches! UPDATE - I picked up the Yamaha jacket, and my business partner Brian picked up the Kawasaki version (BTW he's the one who alerted me to these finds, having a Bonneville he picks up Triumph-branded stuff at Lucky all the time). These are officially licensed products too. The jackets are extremely well-made, and surprisingly heavy. Worn it a few times now and love it! 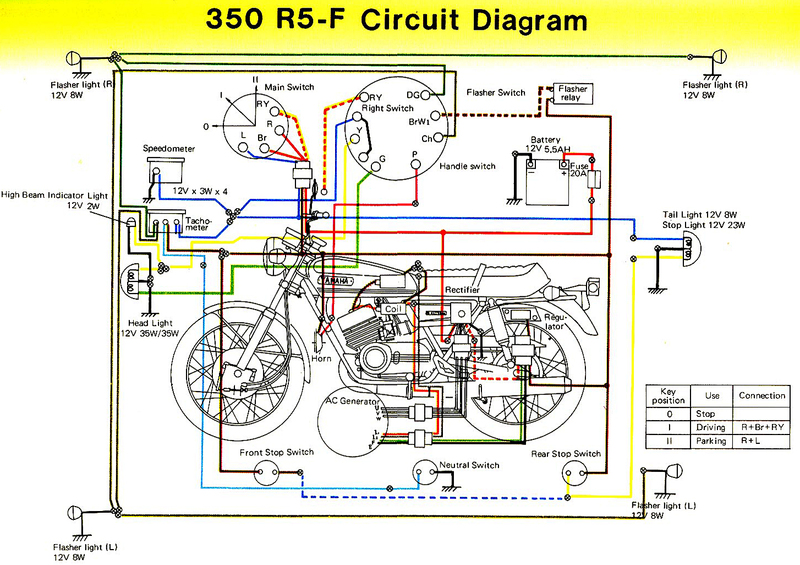 The first place on the internet that will try to pull together a vast ocean of motorcycle information into one place for everyone to find and use completely free of charge or restrictions. The site looks very empty until you log in. Once logged in you will gain access to everything. This is to help prevent spammers and other bots from wrecking the site. So please enjoy yourself. Please strongly consider uploading any documents you may have as this is the only way we can grow. Donations are always more than welcome to help cover bandwidth costs. I have been using your site for months now as I work on restoring my 72 R5C. I was kindly sent these files though from a fellow two stroker I met though Craigslist. He insisted that since this info is so hard to find that I should share it in any way possible. So I am sending it to you for if you want it on your site. I am not sure of the legality of this though. This info is very old and I doubt any publisher will say anything, but you never know. These files are quite large though and will take a while for people on dial-up. They have all been worth their weight in gold to get my R5C on the way to running again. 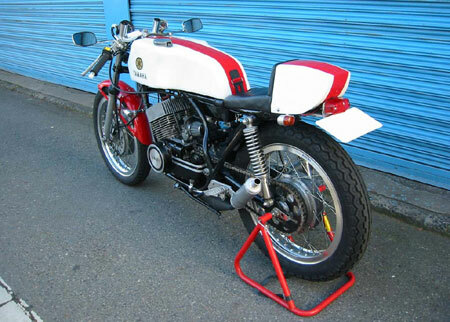 Maybe in return if anyone knows of a killer deal on a pair of carbs for my bike they can drop me a line? 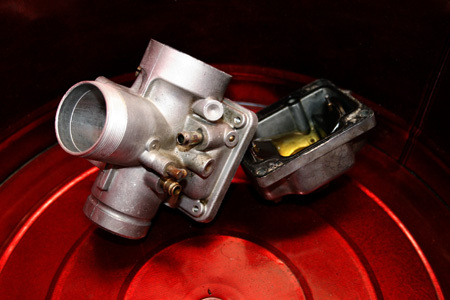 And please, let me know if you can help Tom out with a set of carbs! 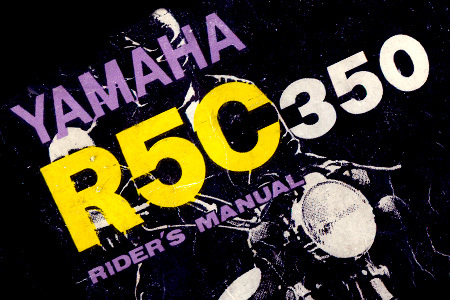 Seeing as it's extremely hard to come by these days, and seeing as how mine is slowly crumbling, I figured I'd scan and post the "Rider's Manual" that came with the R5 when it was new. Fair warning though, it's a fairly large file. Enjoy! Martin's Gorgeous R5 on EBAY! Martin wrote in this morning to inform me that his YR5 (featured previously on this site here an here) is currently up for auction on Ebay UK. This is an original UK bike, it has some history to suggest that it was raced in the early 70s and then converted to road use. It has only had 3 owners. 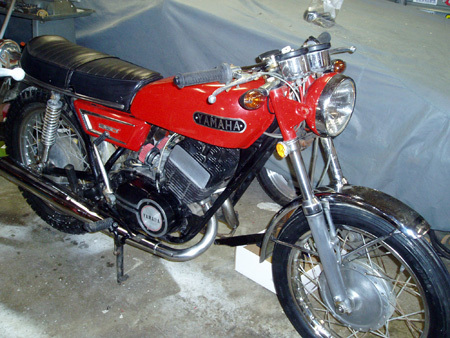 The 2nd owner died in 1980 after which his widow stored the bike until it was sold to a family friend in 1999, since then it has stood almost unused for 7 years until I bought it last year. 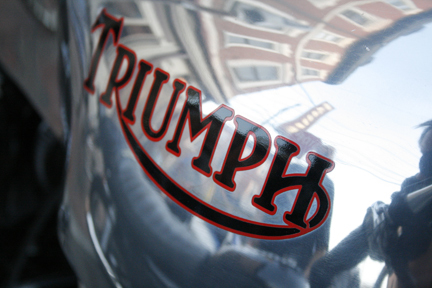 It has been a great bike to ride and has always drawn crowds at places like Matlock Bath. But unfortunately I suffered a seized the engine when the right hand 2 stroke oil pipe came loose. After searching all year I have managed to find some original NOS pistons, rings& gaskets from America and Japan and have had it rebored by PJ engineering (motorcycle engineering specialists of Wolverhampton). So far it has been rebuilt and started, that’s it. It sounds ok and has not currently done any miles. This bike deserves a collector, or Yamaha Dealer as a show piece, it would be great to parade or show. The bike is in a Phil Read replica colour scheme, It has original Mead speed sports fairing, race tank & seat. The wheels have been upgraded at some point to RD400 alloys. 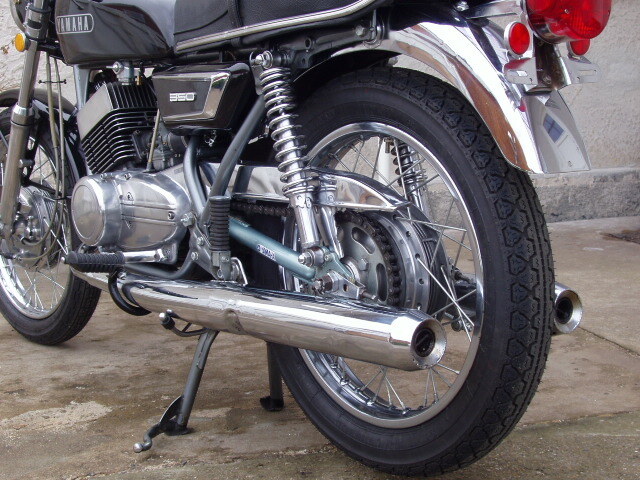 The exhausts are 1970’s originals and are stamped into the metal “Codnor Light Fabrications” this is a Derbyshire company that we now know as Micron. 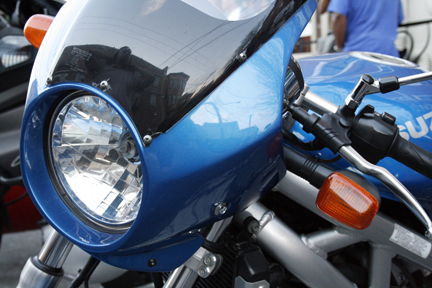 It is fitted with Piranha Electronic ignition and starts first or second kick every time. 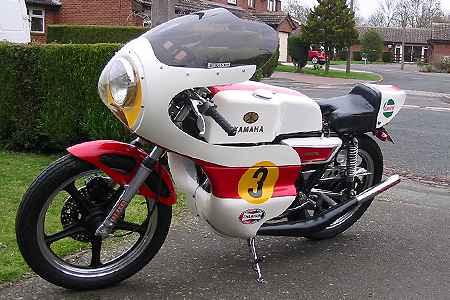 This is probably the only surviving example of a Yamaha proddy racer put on the road in the uk. Grab a real pierce of nostalgia. I am selling as I have 5 bikes and my daughter is about to turn 16. I need the space for her 1st bike!!!! Please ring for extra photos and spec. Just added labels to all of my posts on this site. At the very bottom of each post you'll see a grouping of word(s) that categorize the post. Clicking on one of the words brings you to a single page with all of those posts. Useful if you want to see all the technical posts, posts with downloads, or say all posts about my R5 all at once, without searching or using the archive. I have been looking for a nice two stroke for some time now. Something that was relatively cheap, but ran. I wasn’t looking for show quality or anything just something to get around DC on and tinker with. I came across this ’71 R5 owned by an older gentleman for over 30 years. Cosmetically it has seen some wear but the engine runs great and sounds great too. I sent along some pictures. This is exactly how I bought the bike. How about that sissy bar, amazing. Fortunately in about ten minutes the sissy and highway bar come right off. Short term I am going to put some clubman bars and some rearsets. Then slowly when the money comes in will start cleaning up the parts. It was a wedding present for myself. 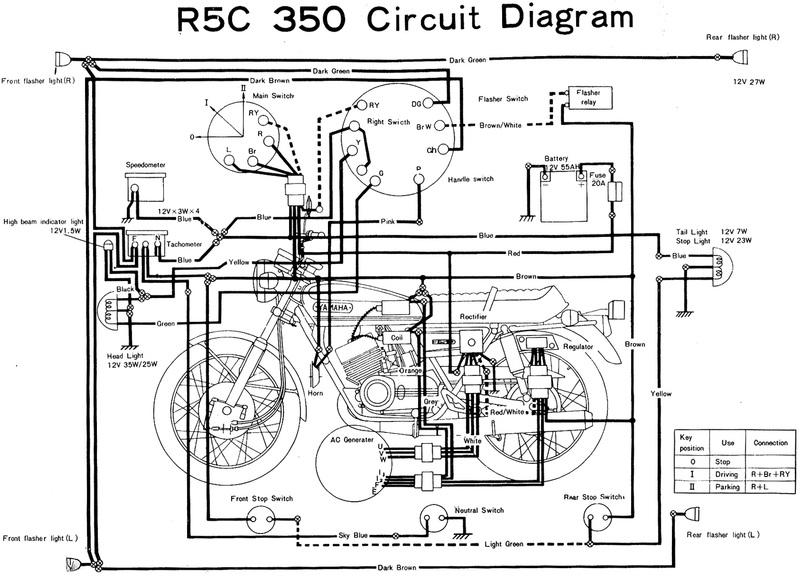 Great website about the only place I found good useful information on the bike. When: 2007-07-20 through 2007-07-22, 8a.m. - 3p.m. Of particular interest to us fellow R5 enthusiasts is that this year the show is honoring the Yamaha 2-stroke twins: R5s, DS7s and RDs. Usually this means a lot of these bikes showing up at the show and an image of the bike on the show t-shirt. Wish I could be going... but since I'm on the wrong coast, someone local will have to go and snap some pics for the site! Ok kids... a lot of you have been asking about electrical issues. Seems these bikes (as just about anything 30+ years old!) have a bunch of gremlins, and it can be a real pain sorting everything out. I'm in the middle of it myself. 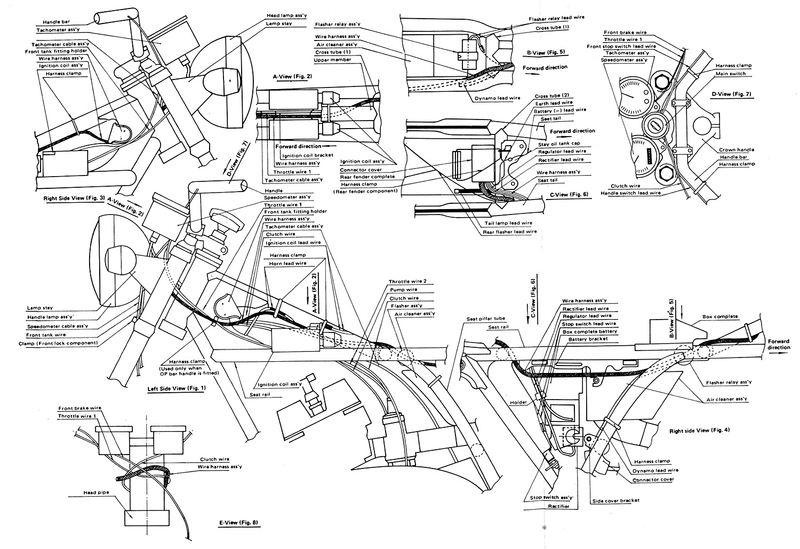 So I thought I'd revamp the diagrams on the site as well as highlight them all in one post here. 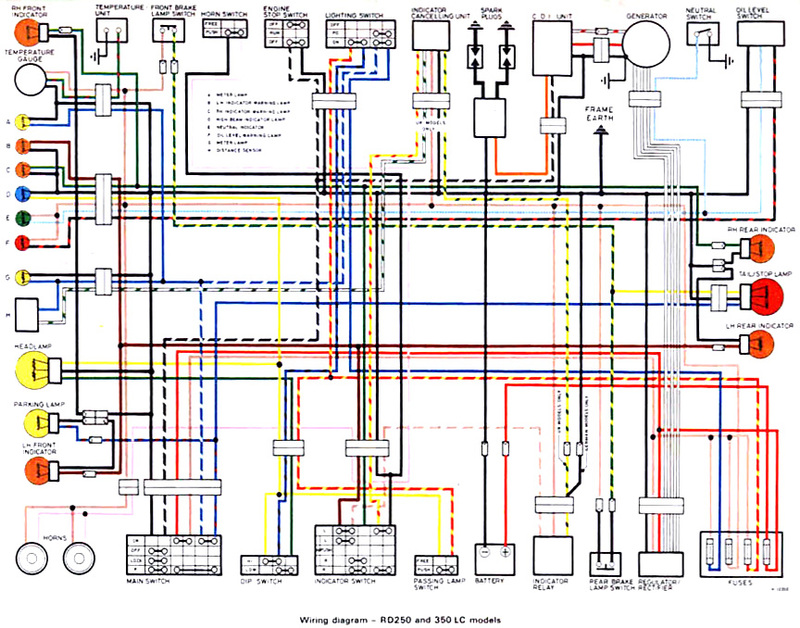 And finally, here is a link to a PDF of the electrical section of the factory Service Manual (via OMP). 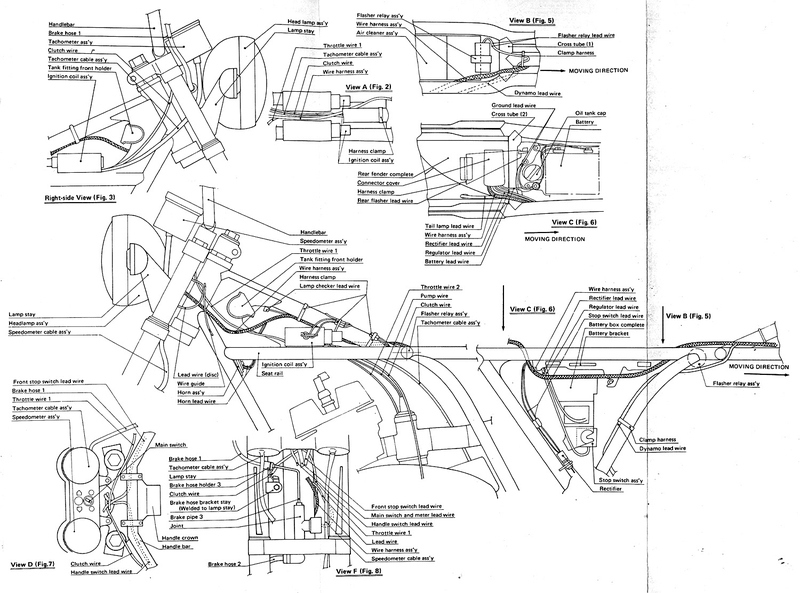 Gotta love all the hand-drawn complexities and typos throughout! Anyways, I hope this helps! Two months ago my mother had to move to an assisted living home, so we had to clean out the old homestead. 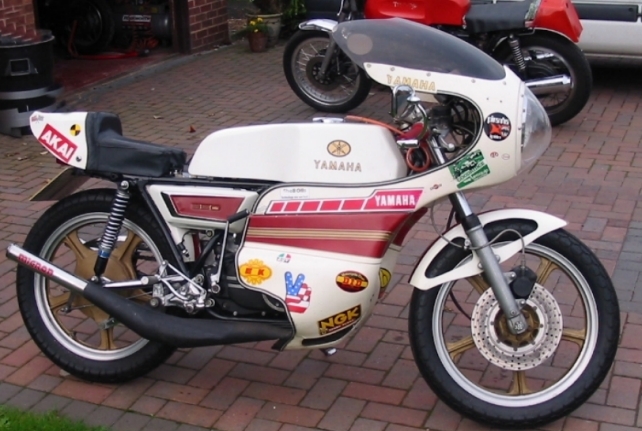 I came across my old Yamaha R5B I parked in her summer kitchen (shed) back in 1979. Wow, what a mess! I was going to roll it into the dumpster we rented but my brother told me I should try to get a few bucks for it on ebay. 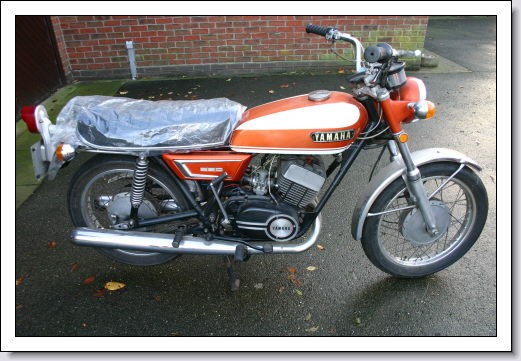 When I checked the prices these old bikes were bringing on ebay I just about fell off my chair! I decided to try to clean the bike up in hopes of upping the value of the old girl. Needless to say, when I saw the shine come back on those fenders and the mandarin orange paint come back to life, it took me back to my college days when I used to jam a few bucks in my pocket and disappear on my R5 for days on end. That old sense of freedom I had back when times were much simpler struck me! All I wanted to do was fire up my old R5, listen to her throaty two-stroke rumble, smell the blue smoke coming out of her exhaust and ride into the sunset! 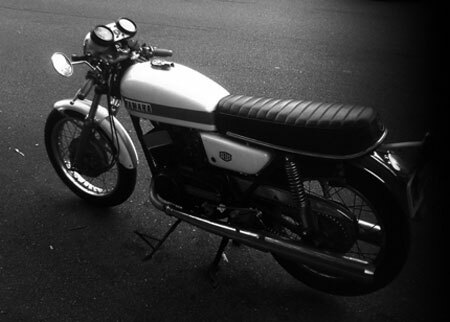 I remembered riding with a gang of my friends back in the 70's, and just what a performer my bike was. They all had bigger bikes with far more cc's, but my R5 just blew them all away. 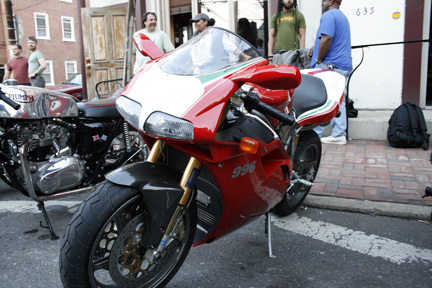 In doing research on the bikes I came across your website, which I must tell you is a real breath of fresh air. It shows the genuine appreciation you have for the Yamaha R5's and it has really motivated me to get my bike back on the road. Needles to say, I'm about half way through my restoration project. I'd like to share some pictures when I get a chance. Thanks for the site. It's a real pleasure and something I look forward to seeing when each update comes to the net! Dave, thanks for the great letter! I'm also very proud to know I played a (small) role in getting your bike back up and running. Please send in those pics and keep us updated! Finally got a nice Saturday with no real plans - except tackle the R5's nagging problems, of course! I just came across your R5 website. Very nice! I just took posession of my 1st R5 this weekend. 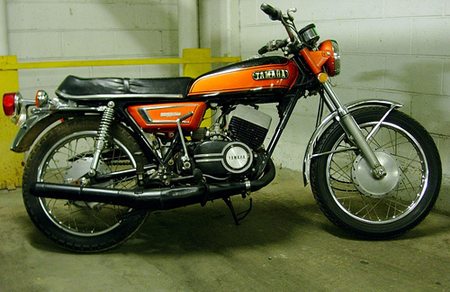 It's an orange 1972 R5C that is need of some restoration. I have restored 4-stroke British bikes in the past (I'm currently riding a 1978 Triumph) but this is my 1st 2-stroke machine. Are there any listservs, discussion boards, etc. that focus on the R5 or Japanese 2-strokes in general? Good-lookin' bike, Jesse! Love the exhaust! You can see more of Jesse's bike on his Flickr page. Check out the links in the sidebar for more. Hope that helps! 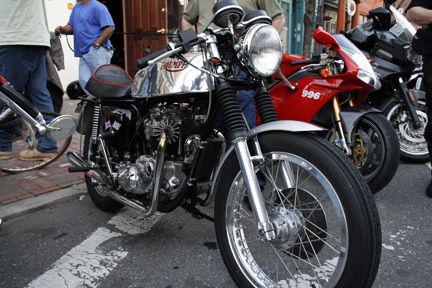 A few posts ago I presented Martin's beautifully restored R5 road racer (see Martin's Gorgeous R5 April 13, 2007). 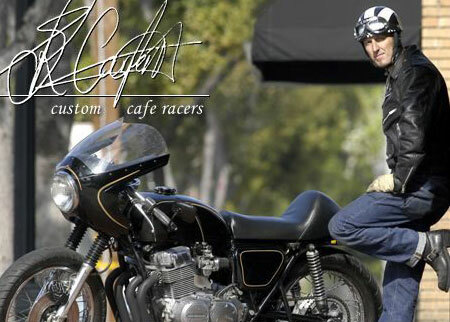 I asked Martin to elaborate a little more on the bike, to tell me the specs, the restoration, the original history, etc... Well, he responded - check out the before and after above! I purchased the bike in 2006 and it was in the condition shown [in top photo]. It was in running condition although all of the fibreglass was crazed. 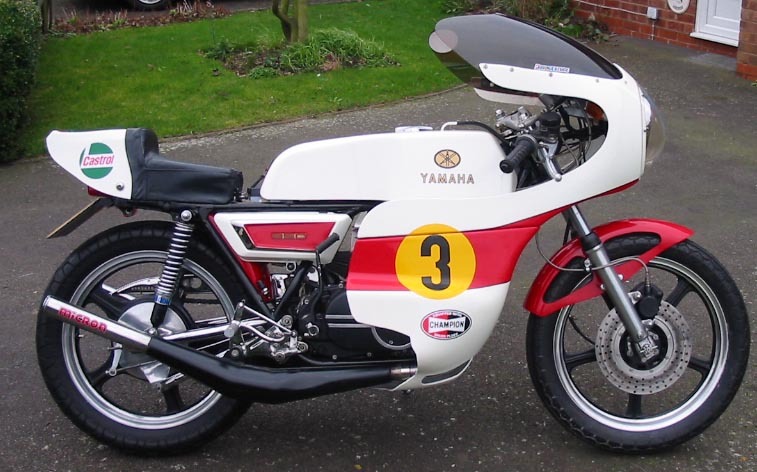 The bike was originally sold by Granby Yamaha in 1970 and set up with the full sports fairing from new... 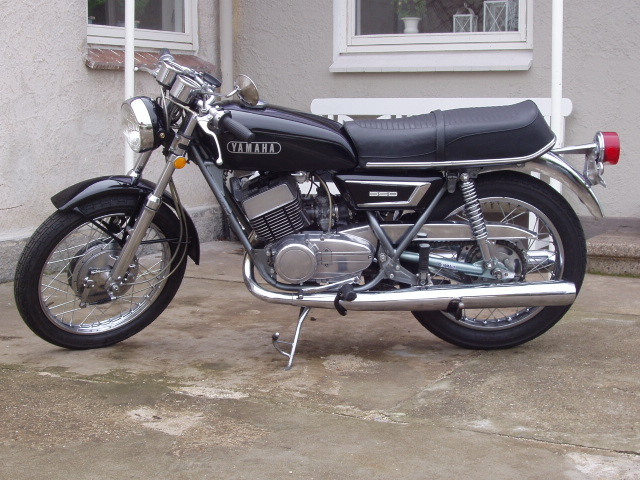 The bike has only had 2 previous owners the first for 2 years and the 2nd from 1972 to 1980 when I an told he unfortunately died of cancer, the bike was then looked after by a friend who started it regularly and rode very occasionally. On the day I collected the bike it started with no problems and I took it into my van to my local dealers where it passed its MOT test . 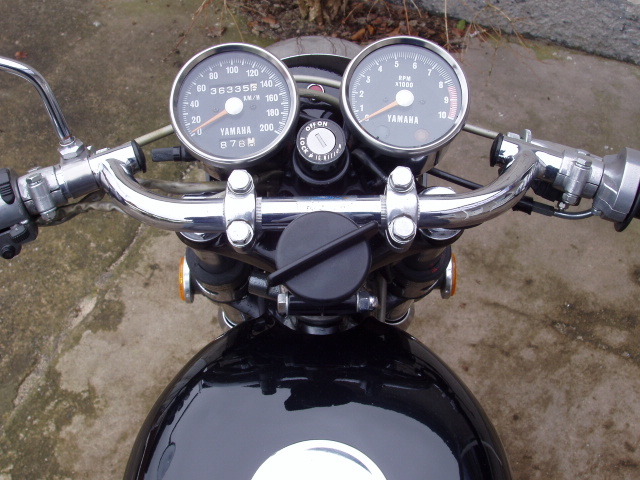 So I arrived home with a fully working motorcycle after it had been mostly out of use for 20 years! The 2nd time out the oil pipe came loose and it seized on one side. After some fantastic help from Governors Bridge Motorcycles in Atherstone UK (01827 712906) who had a brand new pair of 1st oversize Dykes type pistons in stock I decided to completely restore the bike. The forks where slightly pitted so I sent them for rechroming and machining to Philpot's in Luton who did a great and speedy job, the barrels where rebored by Paul Jones at PJ Motorcycle engineers in Wolverhampton UK. I have used Paul for years and he is without doubt the UK's best 2-stroke specialist. 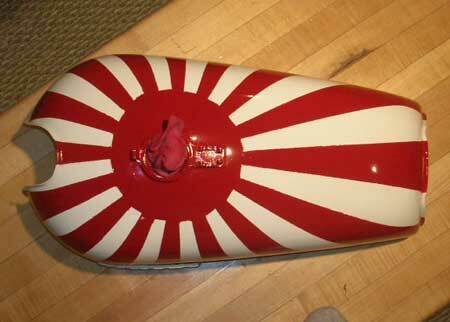 Finally I repaired all of the tank, seat & fairing myself. The fibreglass was completely rubbed back through the gel coat, then had several lays of finish re-applied to deal with the crazing. Mark Burgess at Jawell paints in Wolverhampton who I use regularly helped with advice, and the final finish was 1 coat etch primer, 1 coat high built acrylic primer, 2 coats of 2 pack white gloss which was hand matched by Mark to a sample of the original fibreglass colour, and the stripe is in 2 pack Rosso Corsa. 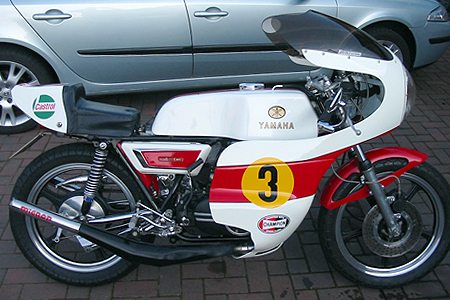 The paint scheme has been based on Phils Read's 1969 factory bike. About a year ago, Jim from Salt Lake City wrote in to tell me about an R5 he had come across... Numbers-matching 1971 R5B that has had a fair amount of custom work done. 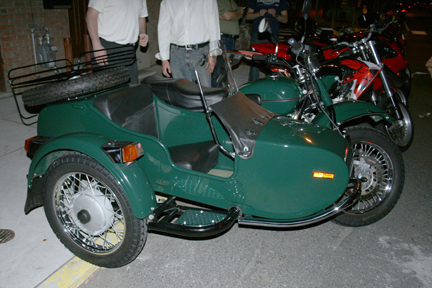 Painted frame, engine, tank, headlamp and trim ring, sidecovers, as well as a custom seat. 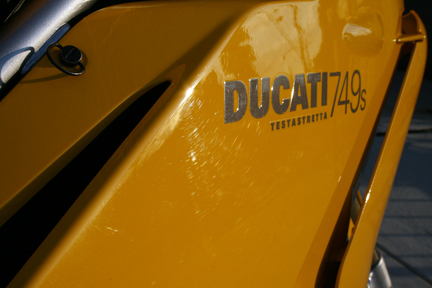 Also mounted are low bars, fuel filter, exhaust chambers, foam intake filters and rare matching left/right mirrors. Very cool - someone put some wrench time in on this one back in the day. Unfortunately the bike has not run in some time, but is not frozen up or rusted - just needs some time and TLC to get her going again. Looking for a good home. Interested? Get in touch with Jim here. Flemming Juel from Frederikshavn, Denmark, writes in to share pics of his beautiful 1971 R5B. He notes that they "they speaks for themselves"... and boy, do they. Gorgeous! A reader of the blog recently wrote in asking about the positions on the main switch, particularly the rightmost position. 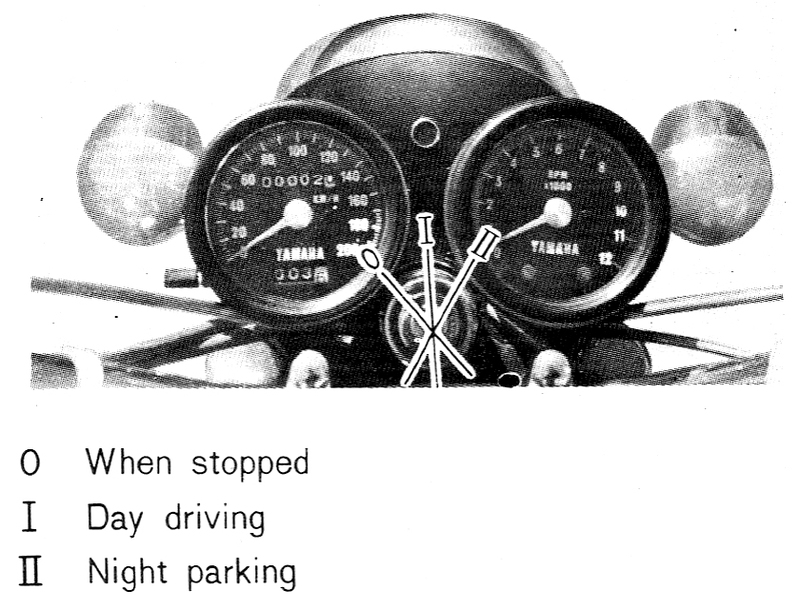 Here's a scan from the 1972 R5 Owners' Manual which sums it up nicely. 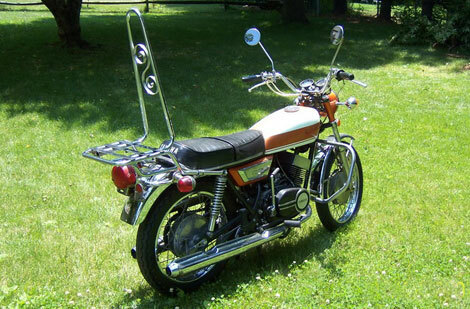 i have for sale a 1971 yamaha rd 350 is is an unfinished project but all the parts are included with the sale of the bike. it has after market exhaust system and clip on's.The engine runs very sweet it has a clean title. Might be worth it for the parts alone! I thought you might like these pics of my "barn find", a 72 r5c. My buddy and I bought this, 2 GT185 Suzukis and a Honda CB450 for only $400. They were all mostly complete and extra dirty, but otherwise in decent shape. I only have about $200 and some blood sweat and tears into it so far and it runs great after some carb cleaning/tuning, custom baffles, new ignition switch, bars, grips, levers and some straightening of some tweaked bits. Check out the tank emblems I made on the CNC at work out of stainless steel (about 8hrs. of cut time), I couldn't bring myself to pay what they want for reproductions. Thanks for the website, it's very informative. Nice job on those emblems! They look great! And great job on finding 4 bikes for $400 - not bad! Keep up the good work, and let us know how you progress on those other bikes! You all know how much I love road-going racers (see posts here and here). So you can imagine my joy when I received an email from Martin in the UK. 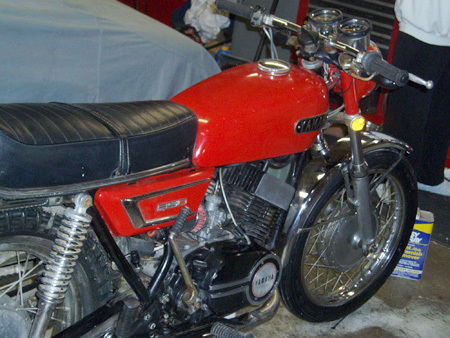 Pictured above is his beautiful 1970 R5 sold by Granby Motorcycles of Ilkeston, England. I don't have much info yet, as the email was brief. All that is known is that, much like my bike, this one has been fully restored after spending 20 years in a garage. Love the work done here - all the style of a racer (fairing, fenders, tank, seat, chambers) with the necessities of a road bike (lights, etc). 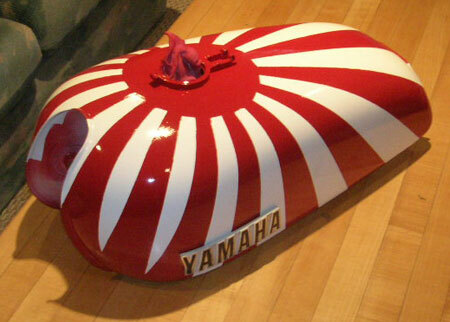 I love the way the original sidecovers and oil tank were incorporated... everything looks in place! 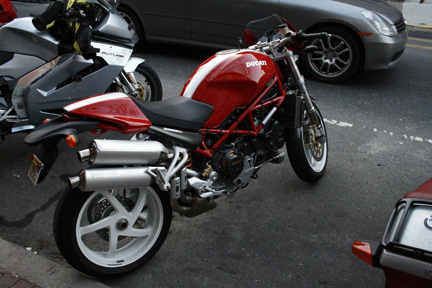 restoration, the original history, where the parts came from (fairing, seat, any custom fabrication he's done), etc... I'd love to write up an article about this great bike. Hopefully he has more pics, particularly any in-progress or pre-restoration - that would be great! I'll post more info when I get it. It's that time again! 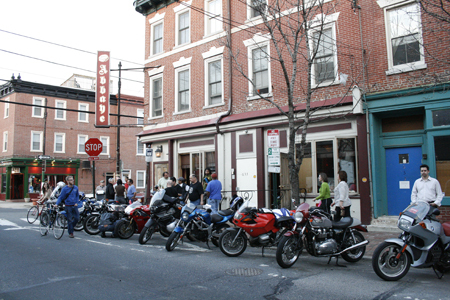 Time to meet up at The Abbaye in NoLibs for Two Wheel Tuesdays! Below are a few shots taken while we were there. Enjoy, and hope to see you next week! There is much progress across the pond (just look at all the innards there!) as Stephan Morris continues the renovation of his '72 R5C.